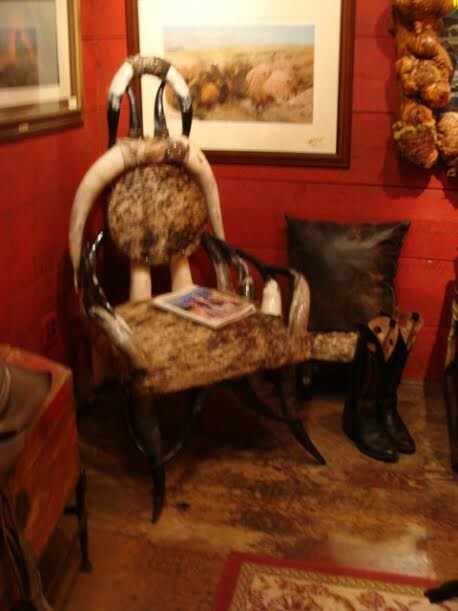 A Genuine Texas Steer-horn Chair with Stool all covered with genuine Cowhide. Extremely large and heavy. To create this ‘one chair’ took the lives of 20 Texas Long-horn Steers. This masterpiece is not more than 25 years old. 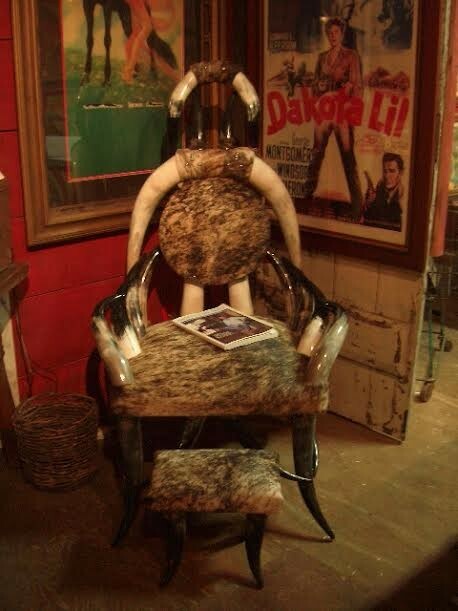 A Genuine Texas Steer-horn Chair with Stool all covered with genuine Cowhide. Extremely large and heavy. To create this ‘one chair’ took the lives of 20 Texas Long-horn Steers. This masterpiece is not more than 25 years old. All prices by request. Please email cowboycabin@centurytel.net with questions or call 406 270-2842.